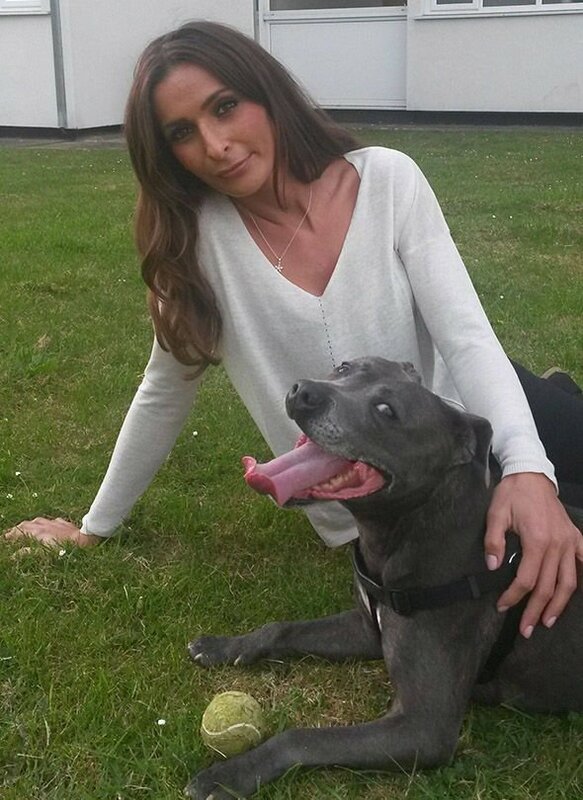 A HEARTBROKEN dog owner gave her beloved staffie a £4,249 funeral, including a horse drawn carriage and floral tributes, after it died on Christmas Day. Pooch Captain was “like a baby” to Sasha Smajic, who said she didn’t eat for a week after her pet died of cardiac arrest during an operation for suspected stomach cancer. 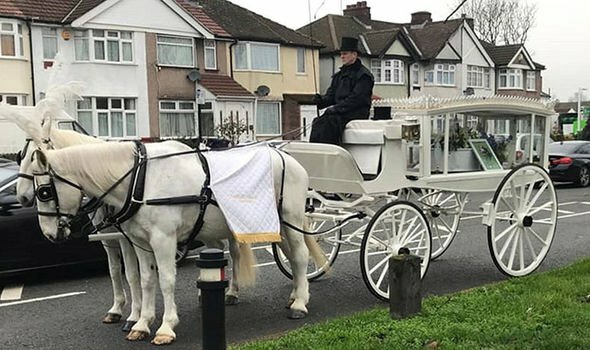 Consultancy practice owner Ms Smajic, of Acton, west London, gave Captain a send off like no other, involving horses, doves, limos, a luxury coffin and a burial. Captain’s white-sprayed coffin had a plaque which read ‘I love you to the moon and back’ – reminiscent of their favourite song by Savage Garden which they would often dance to. The plush coffin, accompanied by £620 of floral arrangements and tribute photos, was displayed as a horse-drawn carriage transported Captain through West London streets, where it arrived to Trinity Way Park in Acton at 12.30pm on December 30. His coffin was then transferred from the carriage to the car before making the 40-minute drive to Willow Haven Cemetery and Crematorium in Bedmond, Hertfordshire. Cemetery owner Maureen Beach read a poem at Captain’s grave during the £1,400 burial, where 11 doves – symbolising each year of his life were released at a cost of £20 each, so the deceased dog could also be “with his animal friends”, according to Ms Smajic. After the dog’s sudden death, Ms Smajic claimed she “locked” herself in her room for seven days, “unable to eat”. Her dog’s royal-like send-off wasn’t an easy one to pull off as only a few funeral services are willing to administer burials for animals. But Michael Tiney, owner of Southall Funeral Service, sympathised with Ms Smajic’s agony.